Welcome to This Must Be The Place, where amazing things happen. 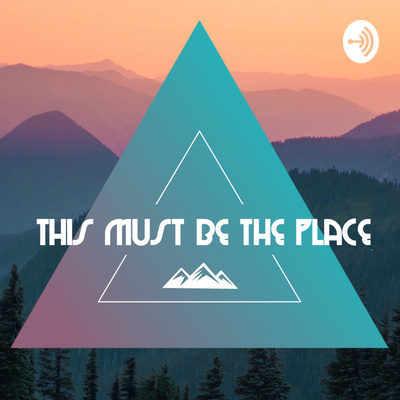 This Must Be The Place is a wedding based podcast hosted by Kelsey and Liam of Ke-Li Photography, geared towards both vendors in the industry, photographers starting out in the wedding world and brides and grooms who are living the reality of wedding planning. Each week we’ll be bringing in new guests including florists, videographers, event planners, and others in the industry from all over the country, to accountants and couples themselves, learning the ins and outs of this crazy wedding world that’s been cultivated today! I guess Video didn't kill the Radio Star! On this weeks episode, we will be sitting down with our good friend Derek White of DWhite Visuals to get into the nitty gritty of the ever growing world of videography! We touch on pricing, gear, critiquing work and his dream job of capturing the World Cup in America in 2026. On this weeks episode, we’ll be turning the tables on our dear friend Lucy Helena and cover everything from life as a freelancer, the ups and downs of working and living in NYC, how to tongue pop and why the best place to meet new friends is at adult sleep away camp in the middle of the woods! With the three of us in one room, the shenanigans and ridiculousness is off the charts so get ready to laugh your butts off with us and at us! Welcome to the first episode of This Must Be The Place, a weekly artist and creative based podcast brought to you by Kelsey and Liam of Ke-Li Photography. Join us on our first episode as we begin our podcast journey and open our doors to cultivate the community we seek while collaborating and learning from other in the industry. This weeks episode dives into who we are, why we decided to create this podcast and a bunch of ridiculous conversations that perfectly embody the weirdos and creatives that we are!